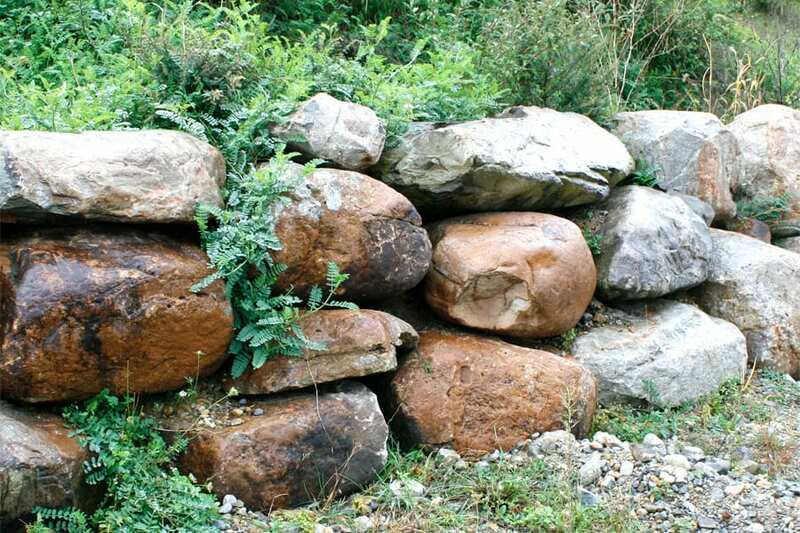 Glacier movement rounded or softened these boulders into a mix of flat and oval or even rounded shapes. Unique color variations. A mix of light gray and deep browns, tans or even black. Highly variable and endlessly fascinating - can be very colorful stone. Completely natural although shaped by a glacier. Most pieces have rounded or softened edges. 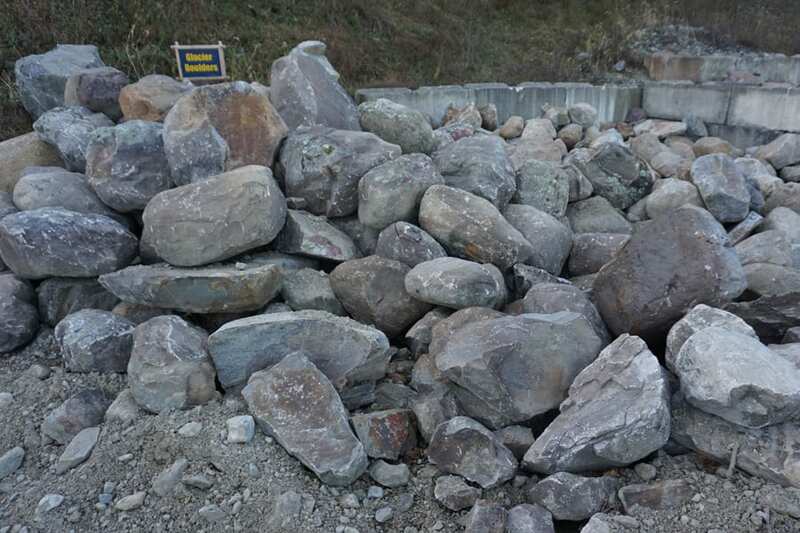 We do not carry any other stone that closely matches Glacier Boulders.